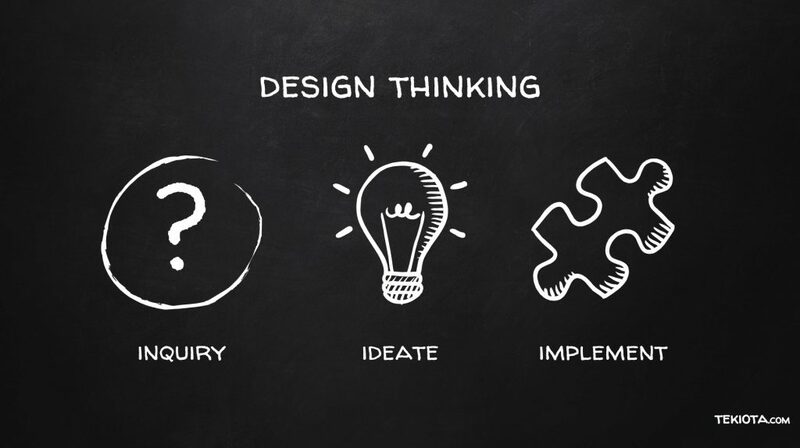 Design thinking in the classroom has the potential to unleash creativity, innovation and empathy while engaging your students to discover unique solutions to problems. Having recently presented at Learning2 on the topic, I want to share here design thinking’s key concepts, methodology and take-aways. There are different ways to solve problems. Engineers solve tame problems to which they are clear repeatable solutions. Businesses use optimization thinking. Researchers do analytical thinking. Design thinking is particularly apt at solving human-centered problems. In order to solve those messy problems, it is necessary according to IDEO’s iconic founder, David Kelley to unleash creativity. I will add that it is essential, as educators to apply the lessons that we try to teach. 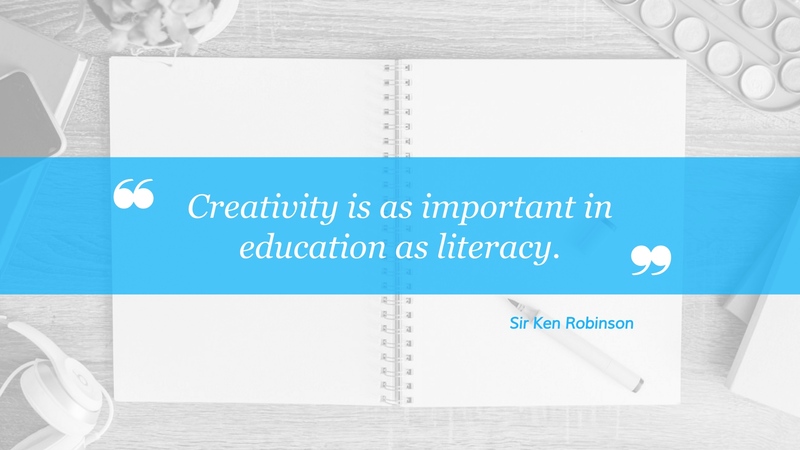 As teachers, we need to let go of our own fixed mindset and understand that creativity is not a talent, but a skill to be learned, a skill to be taught. Creativity, inventiveness, the use of our imagination or creative ideas to create something original is at the core of the design thinking process. The Design thinking process can be broken down into multiple stages. In the MYP curriculum, the Design class revolves around the Design Cycle which is fragmented into four stages: analysis, idea development, creation, and evaluation. The Stanford school of design, the D School splits it into five: empathize, define, ideate, prototype and test. In order to keep my explanation more concise, I will summarize the various stages into 3 categories: inquire, ideate, and implement. Often when faced with a problem, I tend to leap-frog to possible solutions. The inquiry phase helps to define the problem for a specific person. Empathy is deeply ingrained into this stage. To ideate is not only one of my favorite neologism, it is also what I consider a most exhilarating phase when all restraints should be removed. 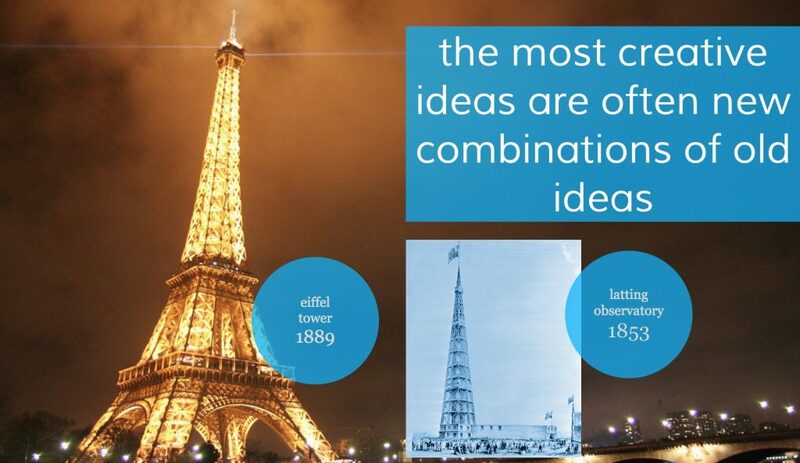 No matter how insignificant or seemingly unrelated an idea is, the brainstorming session should bring them all to light. During implementation, those ideas are evaluated by the user, then prototyped and tried, only to be re-evaluated and refined until a solution is reached. It is my opinion that the designer mindset offers very real contributions to the skillset of our students. I will highlight three: innovation, empathy, and opportunities to embrace failure. Very often design thinking will result in innovative ideas specifically tailored to an end-user. Innovation as a product of creativity is clearly visible in the solutions that are prototyped and implemented. I believe that when taken through the design thinking process our students learn, sometimes for the first time, how to empathize with other human beings. This was the topic of my talk at Learning2: Design Better People. For a concrete example of how a student can demonstrate empathy with design, look no further than Claire’s story previously related in Tekiota. F.A.I.L. First Attempt in Learning. No other process embraces failure so openly than the design thinking process. In fact, failure to fail can be an indication that the process was not applied thoroughly. [icon name=”star” class=”” unprefixed_class=””] Stanford’s d.school has an excellent starter kit to introduce educators to design thinking: Educator’s Guide to Design Thinking details each phase and provides examples. [icon name=”star” class=”” unprefixed_class=””] The accompanying K12 Lab Network Wiki has a wealth of projects shared by educators. [icon name=”star” class=”” unprefixed_class=””] The Spaghetti Marshmallow Tower is an example of a project through which students can learn about design thinking and prototype a solution within a class time. [icon name=”star” class=”” unprefixed_class=””] PBS Design Squad is another great resources with a wealth of activities. From elementary to high school, you probably already take your students through hands-on projects. Design thinking allows you to introduce them to a tried methodology to engage them. Beyond creating original solutions they will also practice innovation, empathy and hopefully vanquish their fear of failure. If you have further comments on the design thinking process or its outcomes, please leave us a reply below. I have noticed you don’t monetize your website, don’t waste your traffic, you’ve got high quality content! Here in grade 4 we teach a simplified version of the IB design cycle. We also teach DeBono’s Six Thinking Hats. I don’t know how familiar you are with those tools. But your angle on using design to teach empathy is new for me. Sadly we are in the last days of our design and innovation unit so it will have to wait until next year. I’d love to hear your feedback once you emphasize the empathy angle in your class. I think it is one of the most powerful piece of designing for other people. Let me know how your students appreciate it!